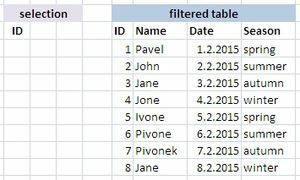 Advanced Filter for effectively filter (select) data. For various analyzes, search, selection of data. If you can do using basic filter, is a little more complicated. On the Ribbon Data click at Advanced. You will receive a dialog box: Advanced Filter. Note: Inserting the area, including column names. For filters can be used operators (marks) and special characters. More in the following examples. In the practical examples will use the following table. Filter range in parameters from column ID. In Example all values larger than 5. 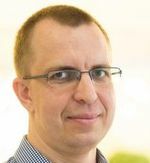 Filter more parameters from column ID. In Example all values larger than 2 or values less equal 6. Filter text in column Name. In Example all values whith "Pivone". Find only "Pivone". Filter text in column Name. In Example all values whith "ivone". Find Pivone, Ivone, Pivonek . Note: The source table is modified. 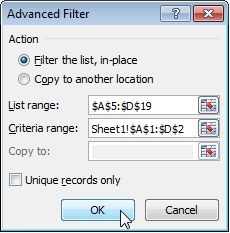 File Advanced filter practically example Excel free download.